Christmas season is coming up, and it is time to start thinking about your family Christmas cards. 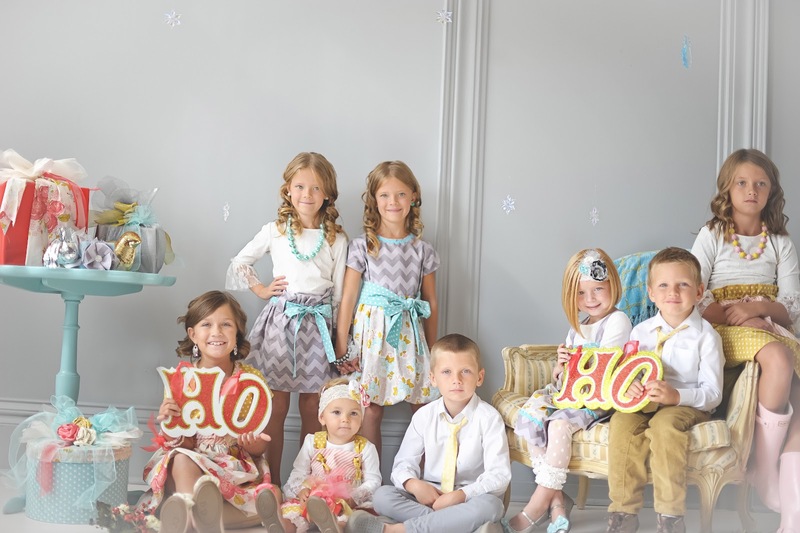 Taylor Joelle has launched a line inspired for Christmas Card pics. We have your children covered from ages 12 months to 10 years. You can purchase our Diane Collection here. You can mix and match this collection, or you can stick with the blue/grey vs. salmon/gold. If the anthro skirt is a little pricy. This Banana Republic skirt would look amazing. 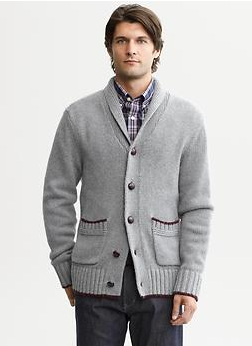 For dad, we would suggest going with a favorite grey sweater or cardigan. 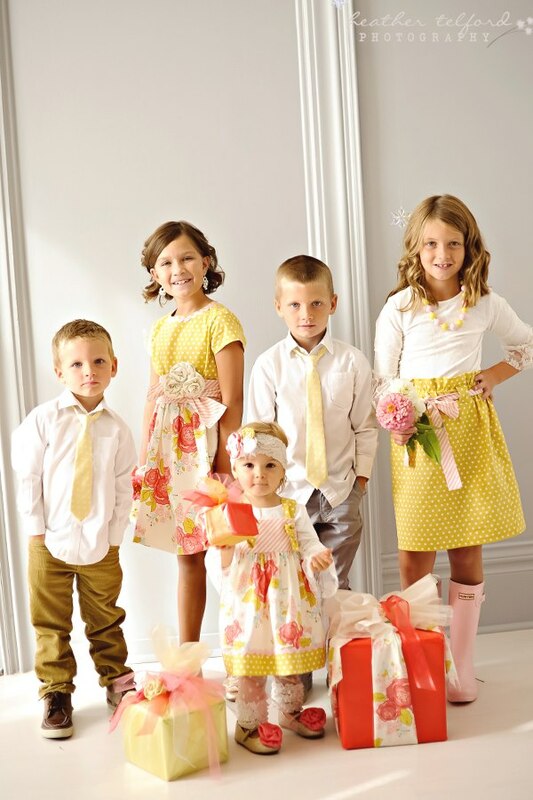 For dad, we have a yellow tie with white polka dots to match the little guys. 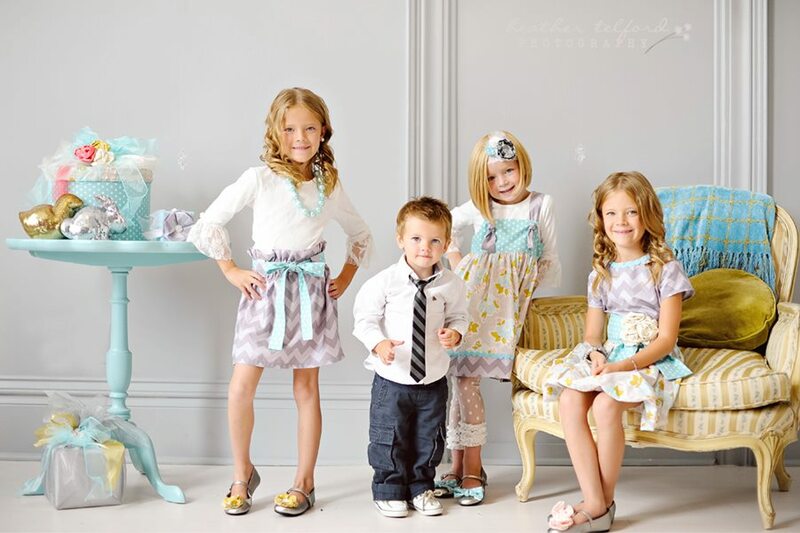 Choosing outfits for family pics can so be so much fun!! We hope your next family picture is a success.